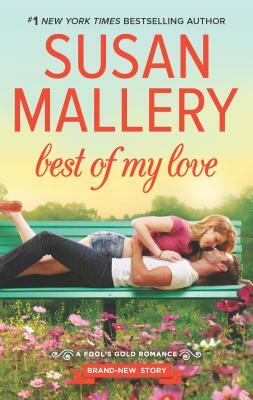 "Susan Mallery is one of my favorites." --#1 New York Times bestselling author Debbie MacomberDon't miss the final book in the bestselling Fool's Gold series To overcome her painful past, baker ShelbyGilmore goes on the hunt for a friend--a male friend--to convince herstubborn psyche that men can be trusted. But where in a town as small as Fool's Gold willthe petite blonde find a guy willing to not date her? Dark, charmingAidan Mitchell puts the "adventure" in Mitchell Adventure Tours...and intothe beds of his many willing female tourists. Until he realizes he's inadvertently becomethat guy--the one-night Casanova--and worse, everyone in town knows it.Maybe Shelby's boy/girl experiment will help him see women as more than just conquests sohe can change his ways and win back his self-respect. As Aidan and Shelby explorethe secret lives of men and women, the heat between them fires up the Fool's Gold rumormill. If no one will believe they're just friends, maybe they should give the gossipssomething to really talk about.